...nakita daw yung logo nito sa bagong palabas ni hugh jackman na Real steel. Next year E3 kaya to ma-announce? ...kung maging totoo man, wag sana maging successful para di agad sumunod ang sony maglabas ng ps4. I don't think it is. This movie takes place in the year 2020. It's the same as the Nike Future Air and the Mattel Hoverboard from Back to the Future. Lumabas ang XBOX 360 noong Nov 22, 2005. Kung makikita natin sa E3 eto next year, most likely ibebenta din sya ng around Nov 2012 para sa darating na Thanksgiving Holiday para malaki ang benta kasi eto ang largest holiday shopping sa america. So mga 7 years na eto. Pero i doubt na ilalabas nila eto ng 2012 kasi mabenta parin ang XBOX 360. So prediction ko 2013 na lalabas ang XBOX 720. Kung ako ang SONY tapatan nila ang pag launched ng XBOX 720 same month or late lang sila ng 3 months - 6 months. Hindi na sila pwede mag pa late ng 1 year dahil matatalo na sila sa bentahan. Tsaka simplehan lang nila iyong pag program ng mga games. I'm not sure if SONY will include a backward compability, ngayong down ang market. They need to sell it the same price ng XBOX 720 or mahal lang ng $20 - 50. Kung magagawa nila iyon i'm pretty sure they can beat Microsoft in their own game. I think backward compatibility is important now more than ever thanks to the PS Store and trophies. This also applies to Xbox. Sayang naman kung bibili ka ng PS4, sabay di matatransfer iyung trophies. Semi Accurate believes the new chip will actually be called Obed and incorporate elements of IBM design - however it seems AMD is nailed on as the manufacturer. AMD reckons it will be a beast of a machine, pumping out graphics that offer Avatar-levels of detail. James Cameron's opus used CGI and 3D capturing, with each minute of footage costing $1 million to make. Not only will the console be capable of Avatar-style graphics, according to Neal Robison, AMD's director of ISV relationships, it will also feature improved artificial intelligence and physics capabilities. This could mean that each individual incidental character – like the pedestrians in Grand Theft Auto, for example – could each take on their own individual personality. In October 2011 it was reported that developers were prepping games that could run on a new console. Could the next Xbox run Windows 8? Microsoft wants to create an ecosystem of apps and games that work between Windows Phone, Windows and the next Xbox. But could that mean the new gaming console could run a variant of Windows 8 as Gamerant suggests? Senior execs for a big US retailer told their shareholders in July 2011 that they don't expect the Xbox 720 and PlayStation 4 until 2014. Bethesda's Todd Howard, game director for the forthcoming blockbuster Elder Scrolls V: Skyrim, says that gamers should not expect follow-ups to the PS3 and Xbox 360 until 2014, at the very earliest. Speaking to PSM3 magazine, the Bethesda exec said that gamers were happy with the current generation of console tech and that he didn't expect to see an Xbox 720 or a PlayStation 4 before 2014. Alongside an angled image that doesn't give much away, he wrote: "Microsoft Xbox. Confidential / Collaboration with Microsoft's IEB design group investigating future user experiences and hardware for 2015. *Work samples only permissible in person. * (March 2011)." Question marks hang over such information; who is Ben Peterson? Didn't he sign an NDA when working with Microsoft? Why is there no contact information on his online portfolio? Will he be allowed to live after such a faux-pas? Or is this all a traffic-mongering lie? Call of Duty developer Treyarch has also posted a job ad for people to work on a game "for a new console. Also in early October 2011, an ad for the new system has also been spotted in a trailer for the film Real Steel. 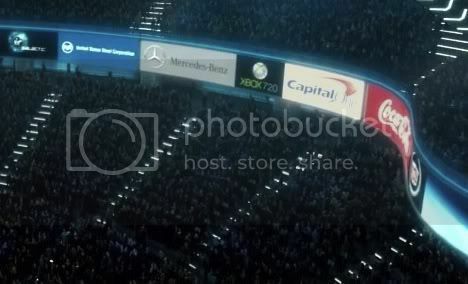 Xbox 720 coming 2012 - to be announced at CES in January? The Xbox 720, prospective successor to the Xbox 360 games console, could be on sale as early as next year. And Microsoft may even use the CES consumer electronics trade show in Las Vegas from 10 January to announce its existence. Speaking to games industry website Edge, a source has revealed that Ubisoft Montreal (the development team behind Assassin's Creed Revelations) is "hard at work on target boxes based on the intended specifications of Microsoft's Xbox 360 successor". It is using PCs stacked with off-the-shelf components supplied by Microsoft itself, and there is a claim that the GPU has been or will be custom-built by AMD. It has also been suggested that actual next generation devkits will be delivered to development houses before the Christmas break this year, leading Edge to make an experienced guess that retail units will arrive in 2012. The site also claims that one developer has even started work on software for Sony's next console, currently dubbed PlayStation 4. There are few other details on either new machine as yet, but with Pocket-lint attending CES in force, we'll be sure to pass on all the juicy gossip on both the Xbox 720 and PS4. While no official announcement has been made, rumors have been circulating for a while now that Microsoft plans on updating its Xbox console in 2012. Nintendo should be in Vegas showing off the Wii U to CES attendees, and Sony has its Vita handheld system to talk about — but with neither expected to announce big new projects, this leaves the door open for Microsoft to steal the gaming spotlight with the Xbox 720. 2012 is also Microsoft's last year at CES, so they'll want to make a big impact as they head for the door. The Xbox 720 is rumored to have an AMD processor, Blu-ray disc drive, Windows 8 compatibility, and deeper Kinect integration than the Xbox 360. Xbox 720 has already been code named as DURANGO it sound funny and similar to a vehicles name btw its just a code name.Giving it a name has a 60-80% possibility to be a fact like NGP and i think sony has their own new console PS4 or the ORBIS.TO: Sony and Microsoft PLEASE NOT NOW .maybe after 2 years i heard that sony will be releasing their ORBIS 1year advance than MS.WTH. "Eidos president Ian Livingstone hinted that the next-gen Xbox console will require always-on Internet connection and will feature watermarked discs that can only be played on one console, effectively blocking used games." hehe mas nakakatakot pala ag revelations ng microsoft kesa sa sony, bute yung sa sony rumor lang about blocking games. ^ Since US yung pinaka market ng Microsoft, I'm sure they wouldn't mind alienating the offline market. If this is true, they probably did enough research based on the number of their Xbox Live gold subscribers. I think dun sila talaga kikita eh. Their strategy for the 360 lately has been more of a multimedia device, where they offer subscription based content through xbox live. That's probably where they see their profit/revenue. So this wouldn't surprise me na yung online crowd yung gusto nila habulin. But until then, rumors are just rumors. I think it's going to be suicidal for MS to go this route considering Sony announced they wouldn't do this for this generation. That's just my opinion, maybe they do know what they're doing and they think this is the right strategy for them. RUMOR: VGLeak reported that according to the Durango Next Gen Xbox Development Kit, the Blu-ray disc will be merely just a software distribution medium, all games will be running from the hard drive, the disc is useless after the installation is complete. Kinect will be required to operate tech system, and Durango will have an "Always on, always connected" infrastructure, which requires an active network connection, and may be used to block used games. Edge Online also said this info is legitimate. nakakasiguro ako ilalabas nila yan before E3. the rumor is bago matapos ang april. tapos BF4 ang demo nila. yun disc install, matagal ng feature yan ng 360. optional lang naman siguro sa 720.
pero kapag ininstall mo sa hdd kelangan pa rin yun disc naksalang sa loob ng xbox as a pre-requisite. "Kinect is required to be plugged in"
"All games must be installed on HDD"
"System interactions that use the controller"
"Durango consoles will have a Blu-ray disc drive"
Today Microsoft spokesman Major Nelson has confirmed plans to officially reveal the next-generation XBox video gaming console at an event to be hosted on May 21st, 2013. Below are the details, to quote: On Tuesday May 21st, we'll mark the beginning of a new generation of games, TV and entertainment. On that day, we'll be holding a special press event on the Xbox campus and we invite you to join us via the live global stream that will be available on Xbox LIVE and Xbox.com. If you are in the US or Canada, you can also watch the broadcast on Spike TV. On that day, we'll share our vision for Xbox, and give you a real taste of the future. Then, 19-days later at the Electronic Entertainment Expo (E3) in Los Angeles, we'll continue the conversation and showcase our full lineup of blockbuster games.